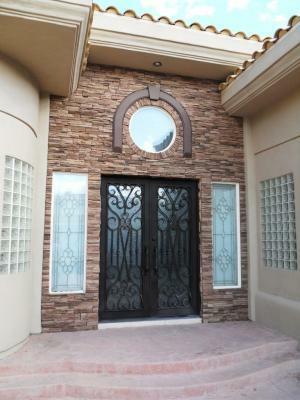 The amount of Arizona homeowners choosing Signature Iron Doors for their iron needs grows exponentially. Located in the heart of Arizona, our mission is to meet the iron needs for all desiring. The reason homeowners select Signature Iron Doors for their iron products instead of other local competitors is because we don’t just offer a puttied simple door. Although wonderful in their practicality, all our iron doors are hand forged, insulated, and finished to last the years. We believe that quality is in the detail. Every door is quality checked by our iron technicians. Whether you fall in love with one of our designs like the ones shown or want a custom built door, we will make sure it is just as you wish. 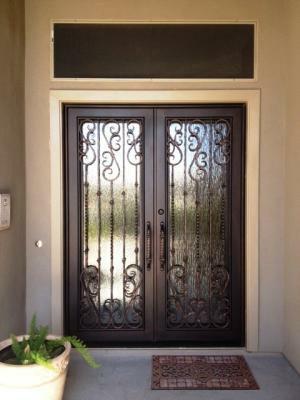 Call us and come visit our showroom in Phoenix Arizona off of Southern and 40th st to discuss with a sales representative you iron door possibilities.